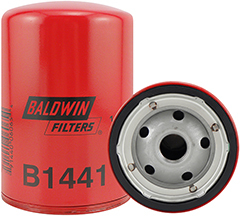 Baldwin Hydraulic Oil Filter BT7349 Improving system fluid cleanliness levels, providing better cold start performance and meeting service interval expectations are the primary objectives in the design of Baldwin hydraulic filters. 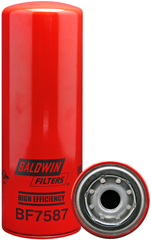 To accomplish these goals, Baldwin Filters utilizes several types of filtration media. BF1212 Fuel/Water Separator Spin-on with Drain Dirty fuel is a fact of life. Even with the development of cleaner-burning fuels, contaminants are still a major concern when it comes to fuel systems. 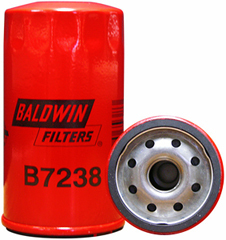 Baldwin Filters offers more than 650 different fuel filters, fuel managers, coalescers and fuel/water separators to protect your engine. 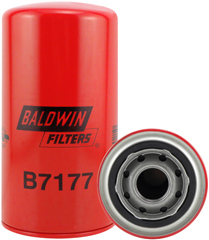 Coolant Spin-on without Chemicals Prevent Damage with Cooling System Products Baldwin offers coolant filters with two SCA formulations to meet specific engine needs. Balanced Treatment for Ethylene Glycol BTE is a direct replacement for DCA2 and is designed for systems operating with 30% to 60% ethylene/propylene glycol solutions. Balanced Treatment Additive BTA PLUS is a direct replacement for DCA4 and can be used in systems with antifreeze levels ranging from 0% to 60% ethylene/propylene glycol solutions. 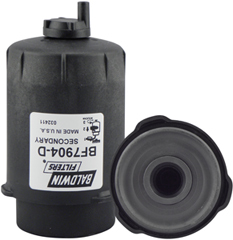 Coolant filters are available without SCAs if the use of liquid BTE or BTA PLUS additives is preferred. 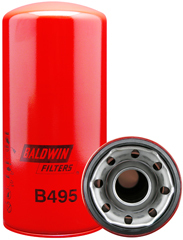 If your equipment does not currently have a coolant filter, Baldwin offers a remote-mount coolant filter base CFB5000, which can be added to your system. Engine by-products, liner movement, and the wear and tear of starting and stopping the engine combine to deplete SCAs. Keeping SCAs at levels necessary for protection of the cooling system requires frequent testing and a careful maintenance schedule. BF9882 Fuel/Water Separator with Open Port Dirty fuel is a fact of life. Even with the development of cleaner-burning fuels, contaminants are still a major concern when it comes to fuel systems. 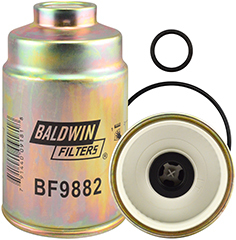 Baldwin Filters offers more than 650 different fuel filters, fuel managers, coalescers and fuel/water separators to protect your engine. 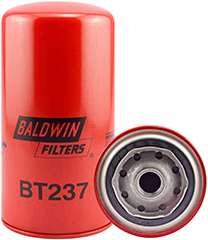 Baldwin Hydraulic Oil Filter BT237 Improving system fluid cleanliness levels, providing better cold start performance and meeting service interval expectations are the primary objectives in the design of Baldwin hydraulic filters. 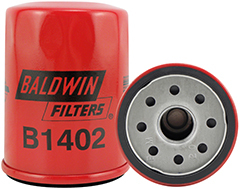 To accomplish these goals, Baldwin Filters utilizes several types of filtration media. BF7587 High Efficiency Fuel Spin-on Dirty fuel is a fact of life. Even with the development of cleaner-burning fuels, contaminants are still a major concern when it comes to fuel systems. 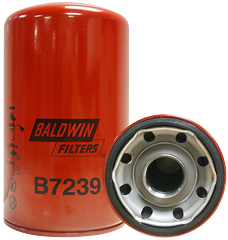 Baldwin Filters offers more than 650 different fuel filters, fuel managers, coalescers and fuel/water separators to protect your engine. BF970 Fuel Spin-on Dirty fuel is a fact of life. Even with the development of cleaner-burning fuels, contaminants are still a major concern when it comes to fuel systems. 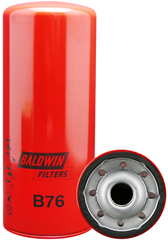 Baldwin Filters offers more than 650 different fuel filters, fuel managers, coalescers and fuel/water separators to protect your engine. 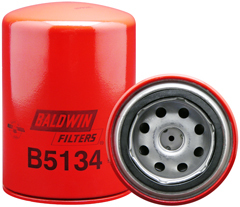 Baldwin Hydraulic Oil Filter BT372-10 Improving system fluid cleanliness levels, providing better cold start performance and meeting service interval expectations are the primary objectives in the design of Baldwin hydraulic filters. 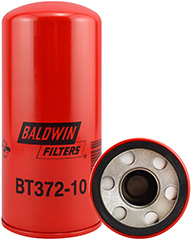 To accomplish these goals, Baldwin Filters utilizes several types of filtration media. 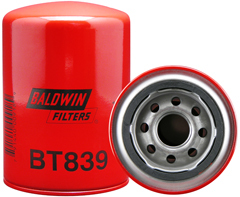 Baldwin Hydraulic Oil Filter BT839 Improving system fluid cleanliness levels, providing better cold start performance and meeting service interval expectations are the primary objectives in the design of Baldwin hydraulic filters. 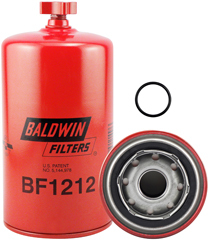 To accomplish these goals, Baldwin Filters utilizes several types of filtration media. PA4113 Most cabin air filters are in a location that makes it moderately easy to access and replace. Cabin air filters are typically located under the hood, or behind or under the glove compartment. The cabin air filter should be changed every year or 12,000-15,000 miles. 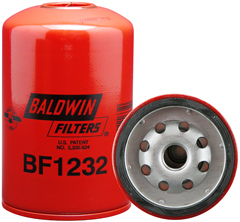 Baldwin automotive cabin air filters come with easy-to-use installation instructions. These step-by-step instructions tell you where to locate your cabin air filter and how to replace it. 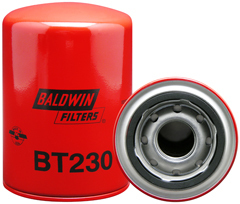 Baldwin Hydraulic Oil Filter BT230 Improving system fluid cleanliness levels, providing better cold start performance and meeting service interval expectations are the primary objectives in the design of Baldwin hydraulic filters. 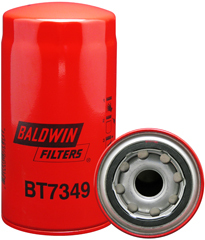 To accomplish these goals, Baldwin Filters utilizes several types of filtration media. BF593 Secondary Fuel Spin-on Dirty fuel is a fact of life. Even with the development of cleaner-burning fuels, contaminants are still a major concern when it comes to fuel systems. 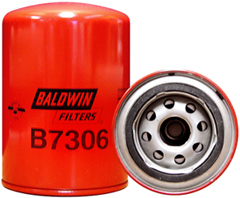 Baldwin Filters offers more than 650 different fuel filters, fuel managers, coalescers and fuel/water separators to protect your engine. 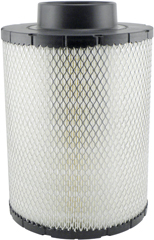 PA2818 Most cabin air filters are in a location that makes it moderately easy to access and replace. Cabin air filters are typically located under the hood, or behind or under the glove compartment. The cabin air filter should be changed every year or 12,000-15,000 miles. 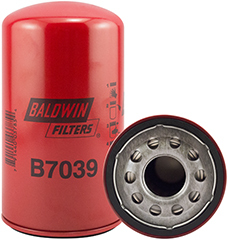 Baldwin automotive cabin air filters come with easy-to-use installation instructions. These step-by-step instructions tell you where to locate your cabin air filter and how to replace it. 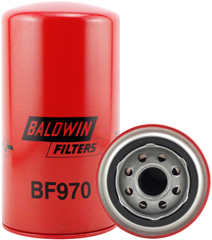 BF7904-D Secondary Fuel/Water Separator Element with Drain Dirty fuel is a fact of life. Even with the development of cleaner-burning fuels, contaminants are still a major concern when it comes to fuel systems. 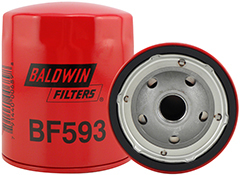 Baldwin Filters offers more than 650 different fuel filters, fuel managers, coalescers and fuel/water separators to protect your engine.